To build a fail-proof web strategy for your business, you’ll need to utilise many different tools; a strong social media presence, proper use of search engine optimisation, and highly-visible paid advertisements are all borderline necessities to operate a successful company in 2017. It can be daunting to think about. Don’t worry – we’ll break it down for you and show you how you can start to use these tools to develop a strong return on investment. You’ve probably heard of the terms Search Engine Marketing (SEM) and Search Engine Optimisation (SEO), but you might be wondering exactly what they are, and more importantly: how SEM and SEO will make your web strategy a success. Just like buying ad space in the physical world, paying for search engine advertising makes your website the most visible, because it’s given the top position. Search Engine Marketing is a catch-all term that encompasses all efforts to increase a website’s visibility. The optimization of a website falls under the SEM label, which means that SEO (which we’ll talk about shortly) is really just a part of Search Engine Marketing. Paid online advertisements are considered SEM as well. Currently, the most popular online ad agency is Google Adwords, which allows your advertisements to appear prominently at the top or the bottom of a page of results. What’s more, it only charges you a fee when the ad is getting clicks. Search Engine Optimisation, as we’ve mentioned, is just a part of the SEM process. However, it’s an important part. SEO refers to the optimisation of a website to obtain free traffic from popular search engines. Essentially, SEO content is written in the search engine’s “language.” Sites that are SEO-optimised are understood easily, which gives these sites an advantage in their placement. SEO optimises your website, giving it a better ranking among other search results. Hopefully, by now we’ve shown that SEO is a search engine marketing tool; one useful strategy, especially when paired with a carefully cultivated social media presence and paid search engine advertisements. SEO is one of the best tools to accomplish this goal on a budget. For companies and brands who are really concerned with getting more traffic, it’s best to get a mix of Social Media, paid, and SEO optimisation. 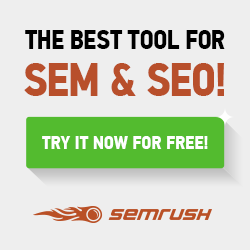 How Important is it to Invest in SEM and SEO? We don’t need to tell you how important the internet is; however, many people underestimate the importance of search engines. In reality, search engines play the most significant role in directing web traffic. This is because the search queries are targeted. Search engines have become the go-to reference for nearly any problem, and even for instruction. Users are more likely to buy something because it is a relevant search. This makes it more valuable. Twitter and Facebook have also begun to optimise their advertising, but tried-and-true PPC like Adwords still has a better track record for return on investment. Cultivating a strong web presence isn’t easy. Gone are the days when it was sufficient just to have a website; many business owners are unaware of the commitment they are making with their websites. If you take a “set it and forget it” approach, you can also forget about a return on your investment. SEM doesn’t end with a few paid advertisements. Given the number of people who will be accessing your website via a smartphone or a tablet, you should also consider tailoring your website to these mediums. It’s important to know what your customers are saying about your products. A dedicated team can promote your brand on social media, interact with fans, and even address potential complaints so they don’t turn into bad reviews or the loss of a customer. By investing in your web presence, you can outsell your competitors and start complementing a proven offline strategy. Whether you’ve got a simple WordPress site or a custom website, these tactics will make your site as successful as possible.